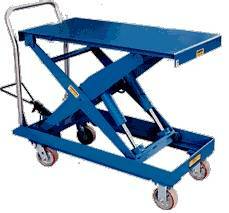 Minimize bending and lifting with these Portable Ergonomic Elevating Carts. 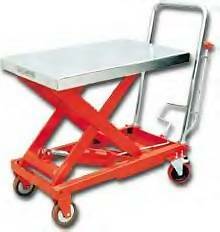 Materials can be easily loaded onto cart from table, lowered to safe transporting height, and raised to unload at destination. 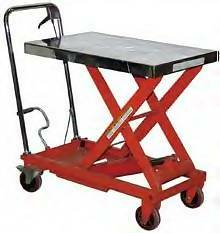 Move easily on four polyurethane casters; two locking swivel and two rigid. 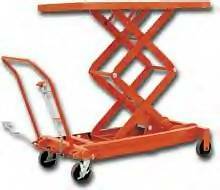 All models feature a down speed control valve, manual hydraulic foot pump. 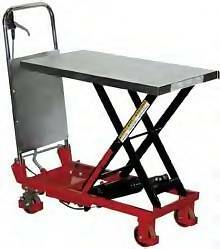 All steel construction.